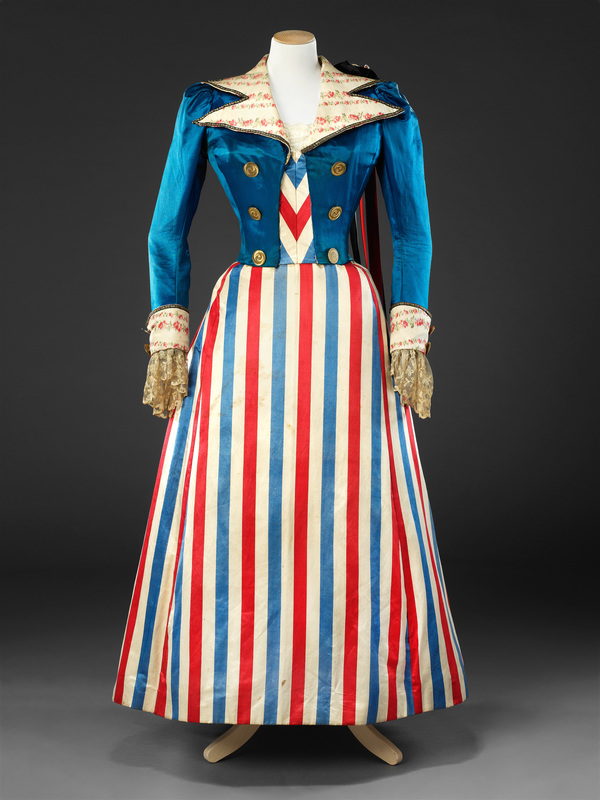 This style of late 19th Century Women’s fancy dress was known as an ‘Incroyable’. The term was originally used for fashionable young men in the Paris of the 1790s whose close-fitting garments in loud stripes with exaggeratedly large lapels and buttons can be seen as an influence here. 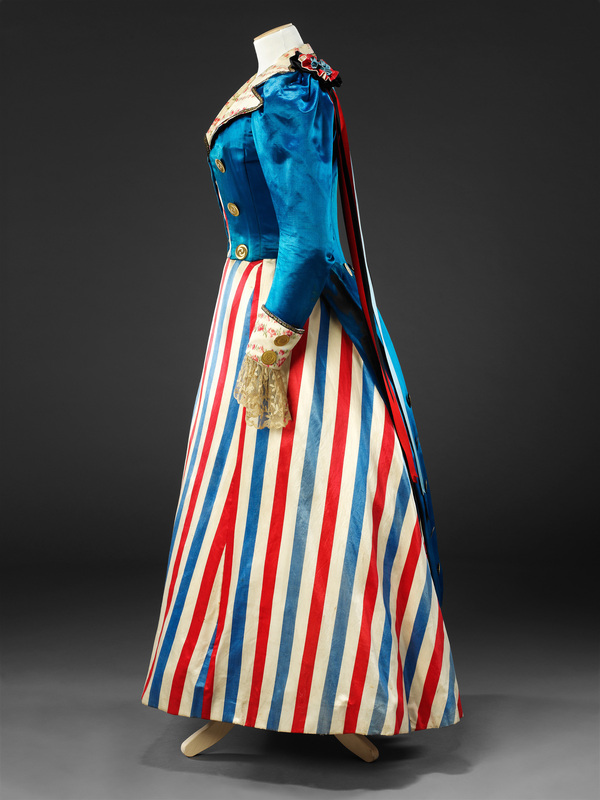 At the same time, this outfit reflects the appropriation of both elements of men’s styles and political symbols of the French Revolution, such as tricolour stripes and cockades, into women’s dress at the end of the 18th Century. A probable source for the design and construction of the outfit was the highly successful book Fancy Dress Described by Arden Holt, which went through six editions from 1879 to 1896. As its title suggests, it provided inspiration to its readers in the form of alphabetically arranged entries, ranging from historical and literary characters to inanimate objects such as waste-paper baskets and bridal cake, describing the details of each outfit, some with an accompanying illustration. 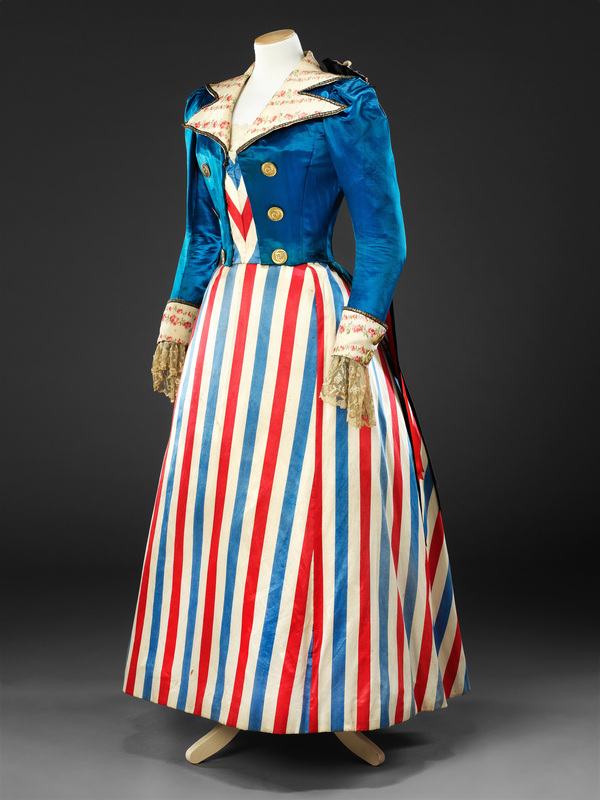 The colour plate of the ‘Incroyable, (1789)’ in the 1882 edition is virtually identical to our example, which, it suggests, would have been worn with buckled shoes, a tricorne hat, and a lace cravat. Fancy Dress Described was published by the London department store Debenham and Freebody who could make the costumes to order, if desired. Interpretations of its descriptions were, however, open to all. 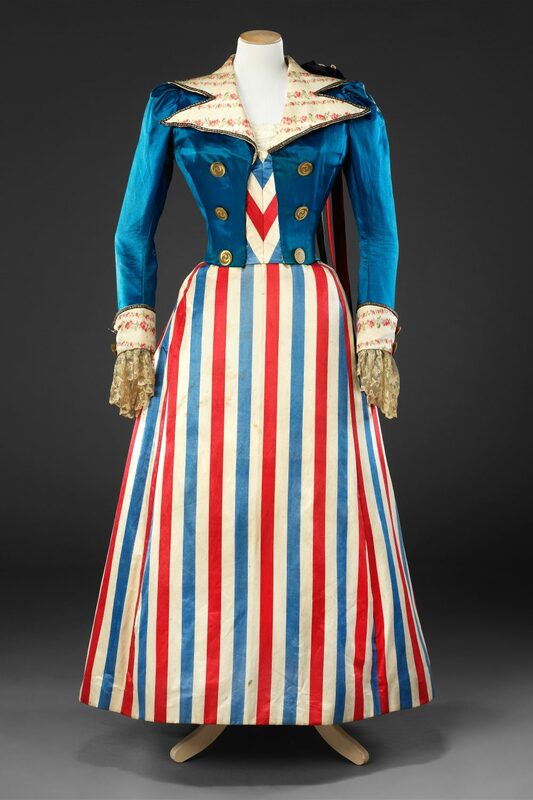 This outfit is professionally made but has no distinguishing marks. 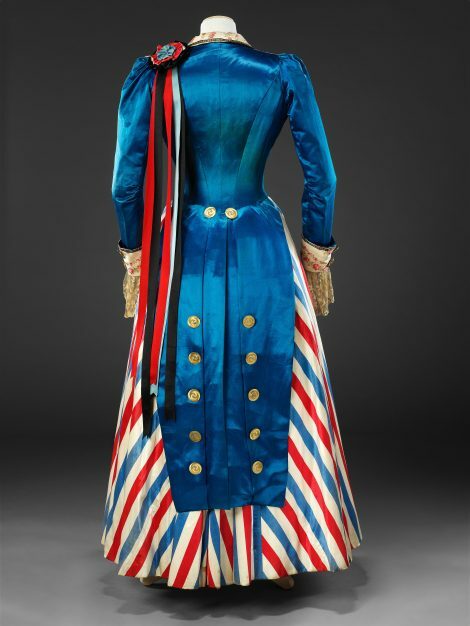 The waistline was originally pointed at the centre front.